The idea that colours affect our mood – red makes us angry, or sexually receptive; blue soothes us, or saddens us; that sort of thing – was once deemed pure poppycock, vaguely hippyish at best. But now, the body of scientific research into colour is growing, and it all points to one thing: our perception of colour really does affect our minds, and our bodies. 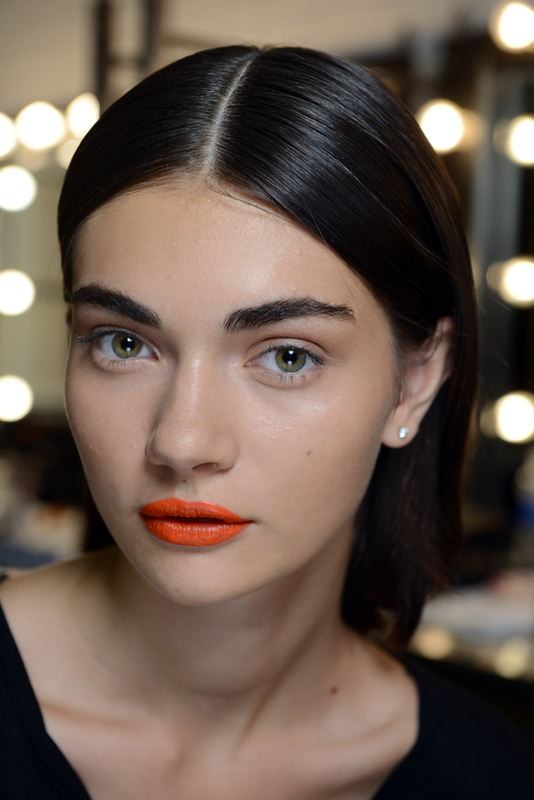 Matte or glossy, retro or modern, diffused or solid, a bolt of red lipstick can certainly update one’s look instantly. Everyone, naturally, has their own opinion on which is the ultimate hue. Punctuating it further, runways have been rife with permutations of red for Spring 2015 as designer upon designer genuflected before the tabernacle of le rouge. For me, red lipstick will always be associated with a particular woman – someone charismatic and confident and clever. Someone whose scarlet lips instantly showed that she was in charge. Capable. Fearless. Over the years, I’ve armed myself with lipsticks in every possible shade of pink and purple, but only one red. 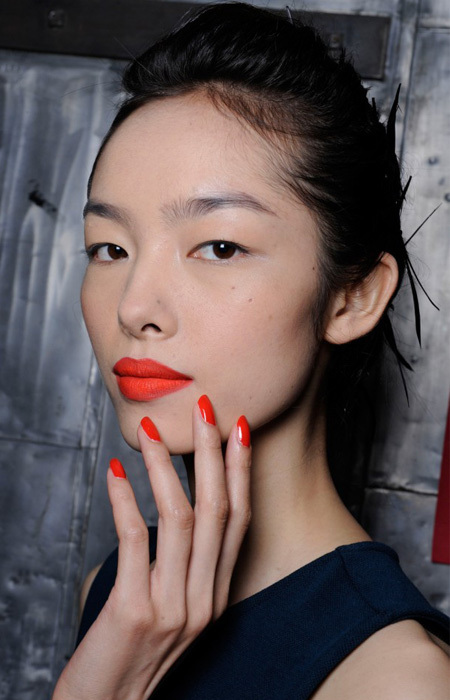 A rich, bold shade called True Red by Vincent Longo NY. A colour I purchased only because the counter make-up artist said that red was my colour. I didn’t really believe her, and never got around to using True Red until recently. A few months ago, in fact, for Fashion Houston Week. It was only when I saw post-event photos did I realise I should’ve listened to her. Red is indeed my colour (thank you, Vicky, you were right all along). 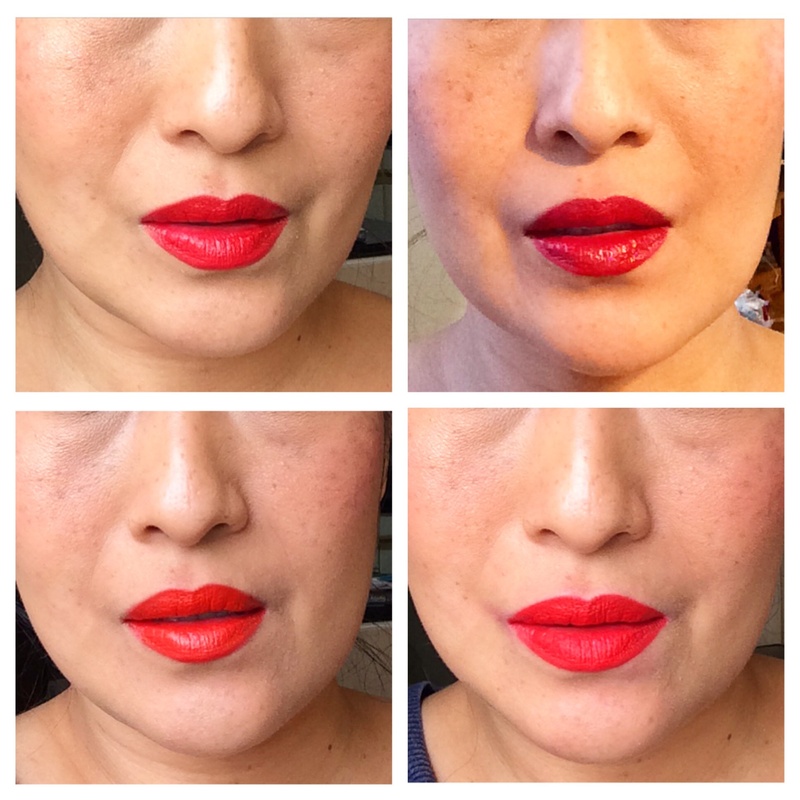 Inspired by the seemingly potent combination of cosmetics and confidence, I’ve since set about experimenting with bold red lips. Perpetually in search of a glorious, creamy concoction, the kind that slips on like satin and sets like velvet, the perfect red for me. All things said and done, which red tantalised your senses most, fellow lovers of the colour? 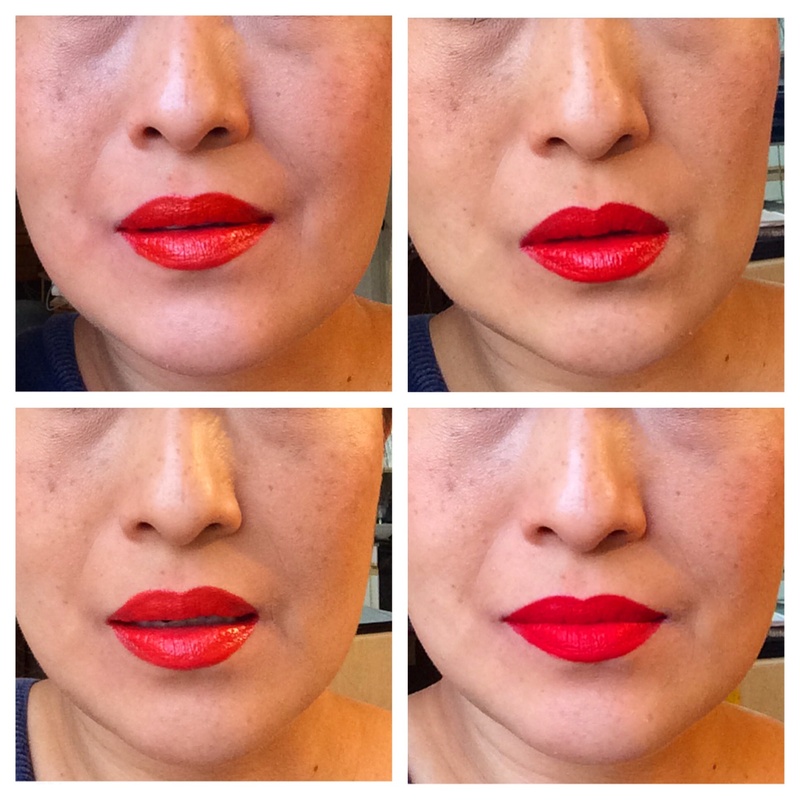 Do you see wear red lippies on a regular basis? p/s I really must apologise for the inconsistent lighting. The weather turned glum and gloomy faster than I could apply a fresh coat of red lipstick. pp/s I find matte lippies the best. However, as they can be drying, I swear by my tube of Sugar from Fresh. I use that whenever my lips are colour-free. That and regularly exfoliating with its sister Sugar Lip Polish does wonders for a smooth, sultry pout. I love RED lippy! And even more now that I have short hair. I have so many–like you. Do you mind if I maybe post something like this? It’s so interesting! My two favorites on you are first pic top left and second pic bottom right–the color of Gladiolus is perfect for you and I love the matte finish of Orange Gina. 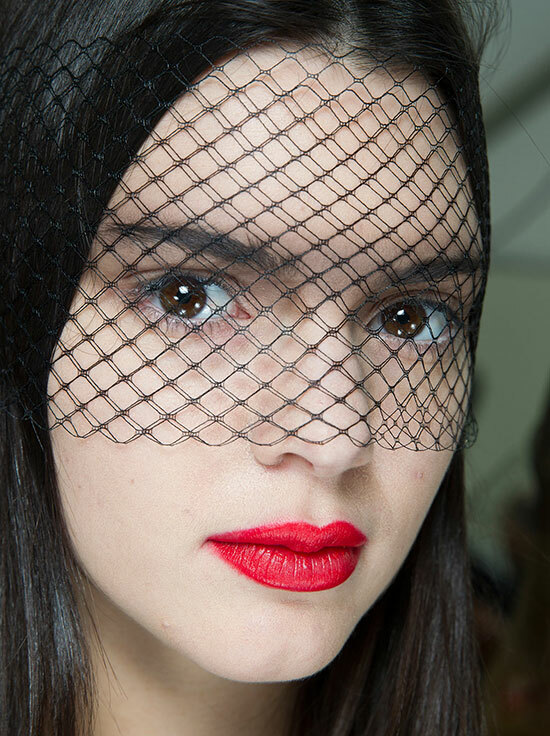 Ahh, love red lips! Mwah! Next PostMe In Jogger Pants? No!!! !